Revolution is a highly-effective feline heartworm preventative and flea-control product that can be used to treat all cat breeds. One monthly dose treats and prevents flea infestations, killing adult fleas and keeping flea eggs from hatching. This product also prevents other common infestations. It’s important to note that if a dog has an existing case of heartworm, Revolution will not be able to help control the symptoms. That’s why proactive, monthly prevention against heartworm is key. Revolution’s active ingredient is Selamectin, a topical parasiticide highly effective in the treatment, control and prevention of parasites. 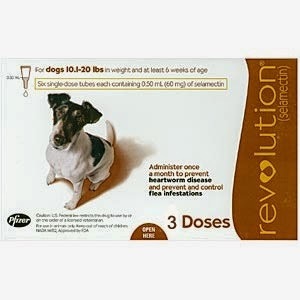 For maximum parasite control and prevention, Revolution should be used every 30 days for the life of the pet. Revolution is applied to your pet by parting the fur and squeezing the liquid contents of the tube directly onto the skin, where it is absorbed. Application takes about 15 seconds and most pets tolerate the treatment very well. The recommended dosage is 2.7 mg. of selamectin per pound of body weight. It is imperative not to exceed the dosage or frequency of application; in larger doses, this powerful drug can be toxic to pets. Prior to product use, vets should show pet owners how to apply the medication correctly. Revolution should be applied directly to the skin on the back of the neck, at the base of the neck, just in front of the shoulder blades. Be sure to part the fur enough to expose the skin; this product should not be applied to the fur. With the tip of the tube directly on the skin, squeeze the tube three or four times so that all of the liquid goes directly onto the skin in one spot. Do not rub the liquid into the skin, and do not apply to broken skin or if your pet has wet fur. Leave the application site alone for two hours after treatment. You may observe a bit of matted fur at the application site, but this is normal and disappears within a few hours. Help keep pets comfortable and healthy with the proper prescriptoin and dosage of pest control products. Don’t be afraid to ask Medi-Vet if you have any further questions about this powerful preventative topical! Many dog owners claim that their dogs talk to them, and in a way this is true. Like humans, dogs have their own ways of communicating without words – and it can become easier to attend to your pooch’s needs if you understand what to look for. Medi-Vet is here to clear up the confusion with a list of the top signs your dog may be trying to express fear, hunger, happiness, and more. It's pretty easy to tell when your dog wants attention. He may approach you and crouch with his wagging or stand and stare at you with his ears up and his face relaxed, waiting for you to lavish him with love. If he suddenly stops when you're playing and pricks his ears up, turning his attention away, chances are he's sensed something that you can't and is more interested in that than in you. When your dog is scared, you'll see him flatten his ears and either lower or tuck his tail. Some dogs will cower when they're feeling uneasy. These may also be signs of submissiveness to humans or other dogs. Aggressive dogs hold their tails high and stiff while standing upright. Their ears often prick forward as they stare intently at whatever provoked their response. 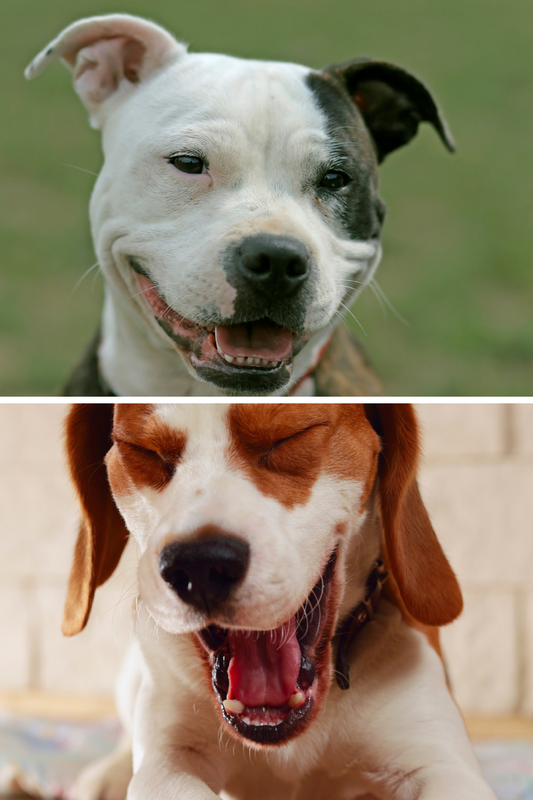 Some dogs are more expressive than others, but they all have certain "looks" they use to convey moods. The next time your dog looks at you, pay attention to his facial features. If his eyes are relaxed and his lips are pulled back slightly in a doggy "smile," you'd better go grab a toy—he's looking to play! However, a tense dog whose lips are pulled up to expose his teeth is feeling aggressive and shouldn't be provoked. Submissive dogs may squint, lower their heads, and show only their top teeth. A closed mouth or excessive yawning indicates that your dog is nervous or upset about something and may need reassurance. Dogs make a variety of sounds to "talk" to other dogs, react to situations, or tell humans that something is up. Loud or excessive barking at mid-range is used to defend territory or communicate potential danger. Pauses between rounds of barking may indicate that your dog is unsure about what type of threat he senses. Incessant barking that includes howling or has long pauses in between is often a plea for attention. 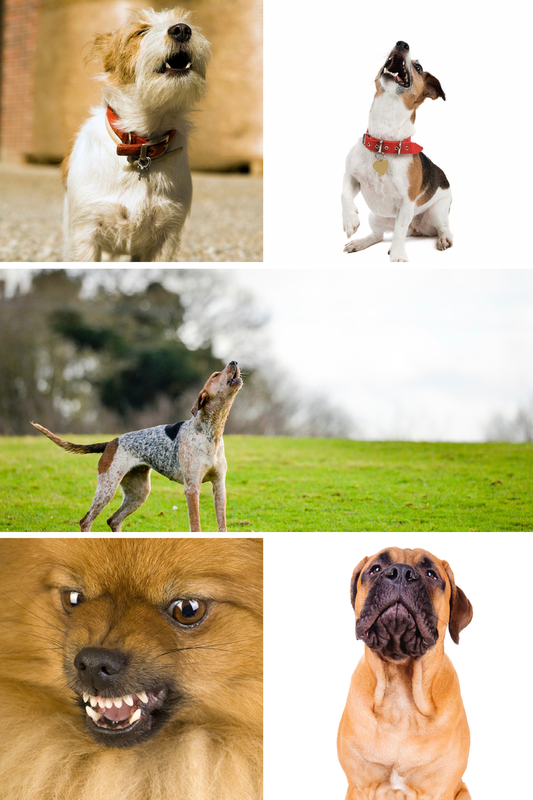 Howling is used to locate and communicate with other dogs or to try to call you back when you're leaving. High-pitched barking usually indicates excitement. A short bark at high pitch may mean that your dog is confused. 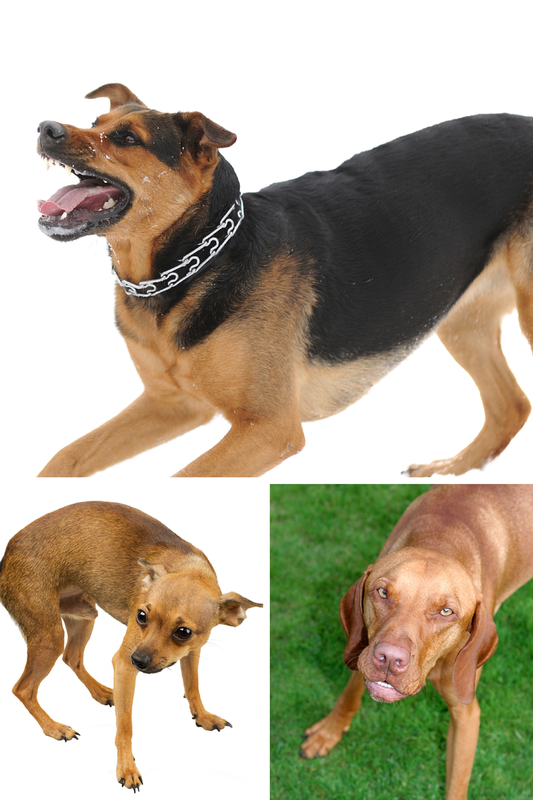 Low-pitched barking, snarling and growling are all signs of aggression. Short low-pitched barks mean "stop doing that!" Dogs that grunt, mutter or "ruff" are looking for attention or want to play. A dog that is frustrated or annoyed may whine to indicate his feelings. Whimpering and yelping may be signs that your dog is in pain or is afraid. Learning to interpret Fido's body language and barking gives you a better sense of his needs. When you understand the signals he's sending you, you'll be able to respond appropriately and build a stronger relationship with your furry friend. You’ll both be happier for it! Copyright © 2012 Medi-Vet.com. All Rights Reserved. Powered by Volusion.